Do you know who the Bride’s best friend is? It’s her closet. And this is what brides are most worried about, what to have and what not to have in her bridal trousseau. 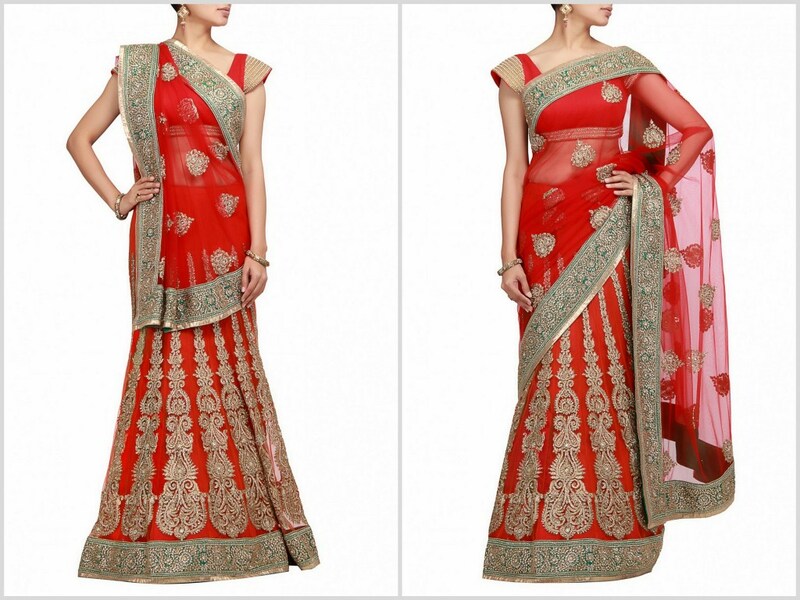 It is not just the wedding lehenga which should have your all eyes but trousseau as well. We spell out a few must-haves for the bride’s trousseau. Want a contemporary look for your reception? Add an Indo Western Gown to the list. Flowy, Modern with an Indian flare, it is best to choose a gown in one solid colour rather than a combination of two or three colours. With varying silhouettes, cuts, colours, fabrics, and appearances, Indian Kurtis are no more boring. Pair them with leggings, tights, jeans; just add a dash of gem pendant or earrings and you are ready! Tip – Opt for fabrics like velvet, silks, organza and brocades for that rich look and sheen. We loved this digitally printed orange kurti with strucutred sleeves at Kalkifashion. We also really liked this parrot green pleated tunic. You trousseau is incomplete without Salwar Kameez. Anarkalis are my favourite in this category. They are inspired by Mughal Raj (yes the Anarkali of Saleem is wheren the name comes from!) trendy, comfortable, modern yet traditional. 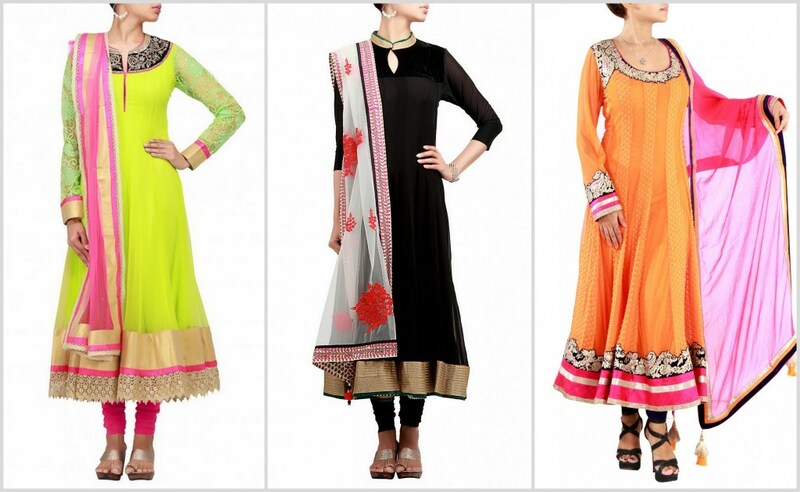 Embellished with laces, motifs, tassels and even Swarovski; an Anarkali can be as much blingy or subtle as you like. We love Sarees and every wedding sarees that is added to the wardrobe is like a timeless investment and a valuable addition. If you don’t like heavy Swarovski look, opt for silks. Have a mix of fabrics ranging from chiffon and silk to Banarasi brocades to be ready for all the close dinner and distant dinner parties! There is nothing quite as sensual and elegant a dress as this nine yard garment. We say it’s a quintessential. 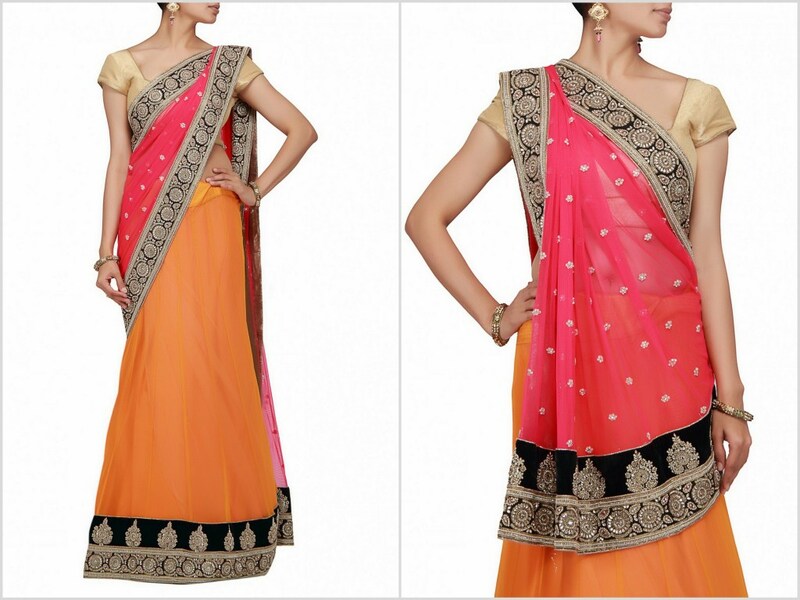 Love Sarees but cannot figure out the pleating, Lehenga Sarees are for you. Although I am not really a big fan of them, it is an interesting combination of the traditional lehenga choli and a saree. They are perfect for immediate family’s wedding events; yes you might have some and should plan in advance. Kalki Fashion, earlier known as Barcode91 is a startup, self-funded premium online store for Indian ethnic wear from the house of Kalki. If you are a bride to be on a look out for bridal trousseau, do browse there very user friendly online store. And don’t worry if you are based out for India, they ship worldwide. Kalki Fashion ensures that no middlemen are involved in the selling process thus letting fashion-conscious customers get merchandise at attractive prices.